PhotoFunia: Pick from around 100 photo effects, upload your photo and have some fun. Their face recognition software does a great job of inserting your face into the scene. That’s me, rocking out. And no I never had a bubble do! 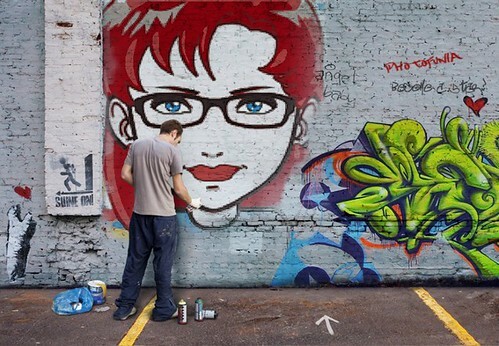 And my Face Your Manga avatar as graffiti. It’s Friday, have some fun. Thank you very much – photofunia is really nice site. Another site like this is http://en.picjoke.com – they make a new effect every day!